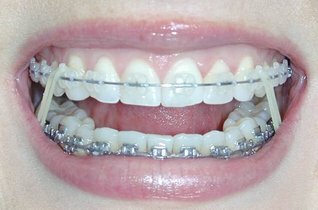 Rubber bands (elastics) are utilized at some point in orthodontic treatment to help move teeth long the correct path. They are small rubber bands that will be hooked on by you. Dr. Henn will show you which teeth your rubber bands should be connected to and for how long. We will also give a detailed instruction sheet explaining how your elastics will work for you.